Courtesy of Kathleen Meis Kathleen Meis and Mario Guerrero are running for SGLC President and Vice President. Voting begins on March 21st. The elections for new representatives in Student Government of Loyola Chicago (SGLC) start Thursday. If you didn’t know that, you’re not alone. SGLC has an image and visibility problem. Students often don’t know what SGLC is or does and if they do know, they don’t believe SGLC can lead us on pertinent issues. 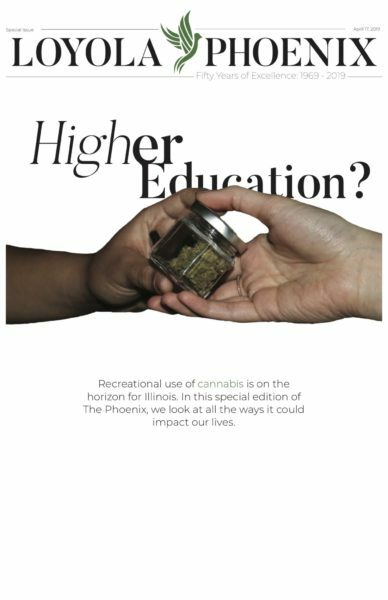 The Phoenix Editorial Board believes Kathleen Meis and Mario Guerrero are the people to fix this, allowing them to finally address the many other critical issues facing our campus. Newspaper endorsements are meant to tell the paper’s readers who the Editorial Board believes will best serve all students. It’s important to note endorsements are from the voice of the Editorial Board, not the rest of the paper. But endorsements are a critical way for a newspaper to point at what it believes is the best way forward. In a historic city election, the Chicago Tribune and the Chicago Sun-Times have both endorsed Lori Lightfoot for mayor, directing Chicagoans toward what they believe is the best future. This endorsement is for something much more local, but that doesn’t mean it won’t impact our community. Loyola is in a transitional period and it needs student leadership that can guide the student body through this transition. 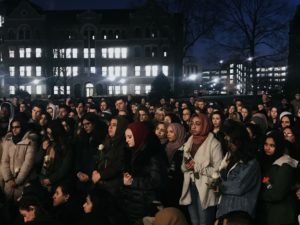 The school faces a crunch in student housing, lack of trust in Campus Safety, problems with dining halls, complaints against the Wellness Center and a lack of accountability in its administration. In the face of these issues, SGLC faces a lack of student engagement and a lack of capacity to shepherd in real change on campus. Meis and Guerrero have shown they have the ideas, knowledge and realism to work toward solutions to these problems. The Phoenix Editorial Board hasn’t shied away from addressing Loyola’s problems. Neither have these two. The Editorial Board sat down with all three tickets for SGLC leadership, grilling them on a wide array of issues. Meis and Guerrero were the only pair that was able to address every question directly, honestly and with specifics, pushing past broad political buzzwords. Even when they didn’t have a specific plan, they had an answer. They understood the problems we face as students and they knew these problems need to be addressed in some way if they took office. This was refreshing when faced with two other tickets that seemed to tip-toe around actionable answers to pressing problems. Instead, Meis and Guerrero laid out specific strategies. They proposed a committee within SGLC to specifically handle issues pertaining to accessibility on campus. When asked about sexual assault on Loyola students, Meis and Guerrero discussed adding a prevention training element to first-year UNIV courses. Regarding student mental health, the candidates said the campus culture can better promote overall wellness. When asked about what Loyola should do to about the lack of on-campus housing, Meis responded bluntly. “First they have to address the problem,” she said. This honesty about Loyola’s shortcomings was welcome from an on-campus group that’s often dodged responsibility and avoided its role as advocates for students. Even when they had a specific plan, the two were realistic about the limitations of the office and knew how they could work the system to begin the process of change. Meis and Guerrero said the best way to advance student interests was to lift up the work of outside groups doing great work in all aspects of student life. We agree with this idea. Student body president and vice president are strange roles on campus. They lead the students but don’t have the power to legislate — that power goes to the SGLC Senate. Meis and Guerrero understand this and said they’d work to push the Senate toward their goals, showing they’d achieve the delicate balance between being influencers and being facilitators. If elected, Meis and Guerrero would be the two students with the most access to administration but have to work to keep that relationship open. Meis, again, put it best when she said she expects the administration and university President Jo Ann Rooney to treat her as a “colleague,” while the other two tickets seemed intimidated when it came to Rooney and her administration. After much deliberation and thought, we’ve decided Meis and Guerrero are the two candidates most likely to stand up to Rooney’s administration on behalf of students. They didn’t seem afraid to speak truth to power. They didn’t seem afraid to ruffle feathers. They didn’t seem afraid to ask tough, important questions of problematic Loyola departments such as Campus Safety. In their campaign, they haven’t seemed afraid to show how SGLC can benefit the student body. Showing their administrative and organizational talents, Meis and Guerrero met with many disparate campus groups. Among other groups, they met with us, College Republicans, the Greek community and multicultural groups on campus. There are few people who can bring these groups together. Meis and Guerrero showed to us they can be student leaders for all of them. We believe Meis and Guerrero are the best step forward for our school. But if you disagree, vote for one of the other candidates. Harsh Patel and Thomas Sallese are the outsider candidates. If you think SGLC needs new voices, vote for them. 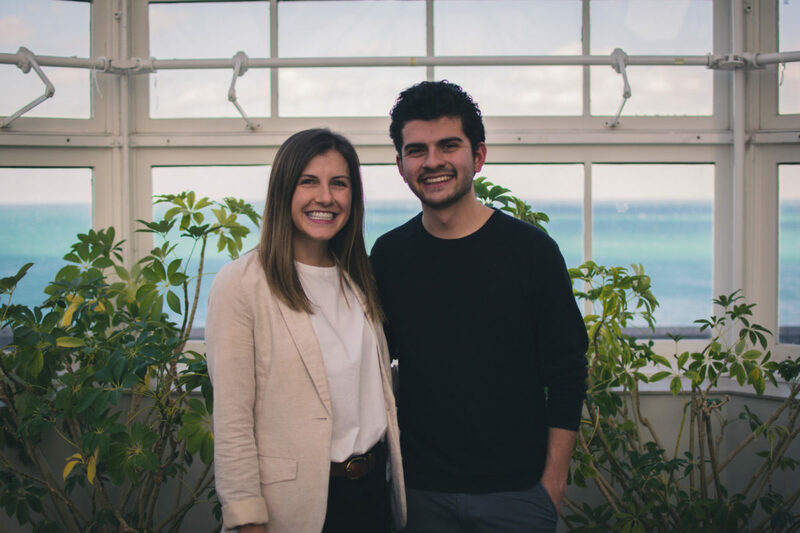 Sophie Yano and Ben Franc bring in solid experience in the workings of SGLC. If that appeals to you, vote for them. But, no matter who you vote for, please, please, please vote. SGLC election turnout has been historically awful. As a student, you get a say over who represents us to Loyola’s administration. You can’t complain if you don’t participate, so participate. book-marked to look at new things you Does your site have a contact page?